Kenyan tennis lovers are set for a spectacle when Kenya hosts the 14th Africa Nations Tennis Cup from November 7-13 at Nairobi Club. Twenty countries shall take part in the seven-day competition. They include South Africa who are the defending champions, top sides Egypt and Algeria alongside Kenya. Others expected are Uganda, Burundi, Rwanda, Zambia, Tunisia and Sudan. The tournament, which is held every two years, will be played in both singles and doubles category. As hosts, Kenya will field five players in both the men’s and women’s category whereas other participating nations are limited to three. The Kenya team will be coached by Rosemary Owino and Caroline Oduor, a former Kenya Open champion. The Kenyan contingent has been in residential camp and will be boosted after it was determined that top ranked Ismail Changawa will be available to compete in the showpiece. 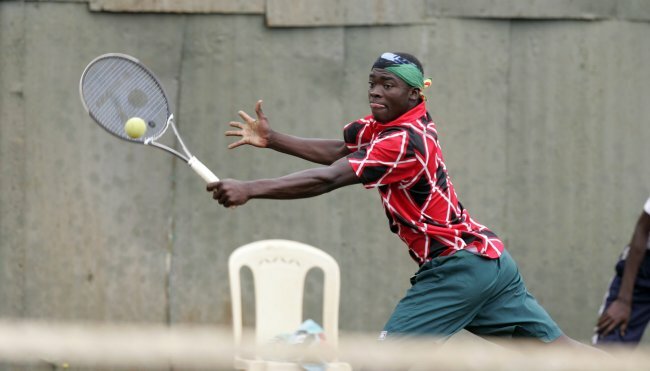 Changawa is the current Kenya Open champion in both the men’s and mixed doubles categories. There were doubts over his participation given that there was collision over the schedules of the competition with that of his school, Seminole State College based in the United States. According to team Kenya’s administrator and official James Rogoi, Changawa’s availability is vital in Kenya’s pursuit for glory. “It is always a good when you have your best players for competitions and I believe that he is a top quality that will boost our chances as we come up against top sides,” he explained. Changawa is expected to report to camp on Friday. Other players in the men’s team already in camp are Albert Njogu, Ibrahim Kibet , Kevin Cheruiyot, Petty Andanda, Sheil Kotecha and Maurice Wamukowa who is based in the United States. The women’s team includes highly ranked Kenya Open champion Shufaa Changawa, Katrina Karanja, Faith Nyabera and Paige Mbugua. East Africa Secondary Schools champion Judith Nkatha will miss the competition and she will be sitting for her national examinations. “We have top quality players at our disposal and with proper training we should challenge for top honours. Our focus in training is giving good service balls and endurance for the players because we expect tough opposition,” coach Owino said. Kenya will also host the African 14 and Under Tennis Masters that will run hand in hand with the Africa Nations Cup. This is basically a junior competition which brings together the top eight boys and girls in Africa as per the Confederation of African Tennis ranking. According to the latest release, Kenya’s Ryan Randiek is the top seed in the boys’ category while Sneha Kotecha is ranked fourth going into the competition.